Notes: Local throughout much of south-eastern England, north-western England and northern Wales. 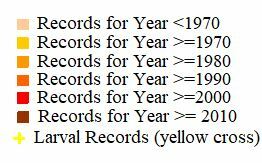 Probably under-recorded in Hampshire and on the Isle of Wight, where the extent of known records correlate with those areas in which the recording effort is concentrated. Wingspan 4-6 mm. Adults difficult to distinguish from other Stigmella species, and more frequently recorded in the larval stage, when mines are relatively easy to find where they are present. 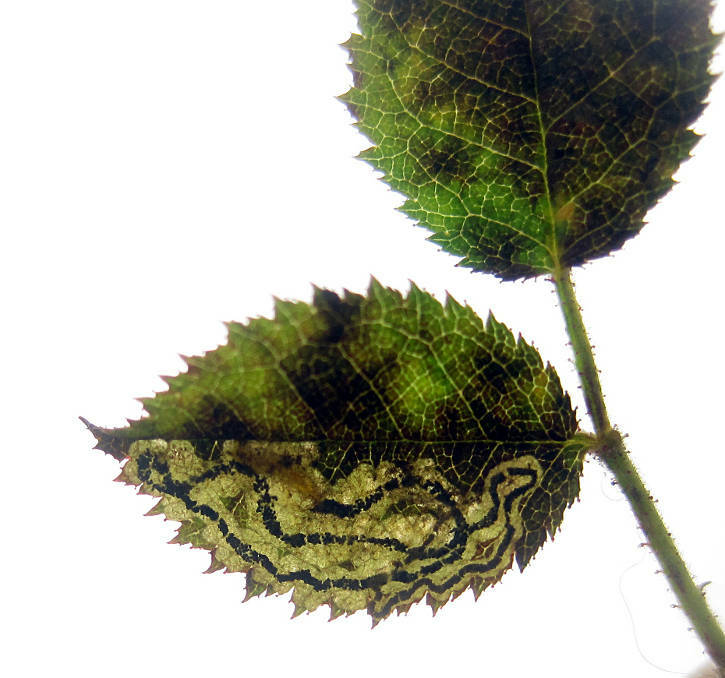 Larva mines leaves of Cultivated Rose and Wild Rose, over-wintering as a pupa. 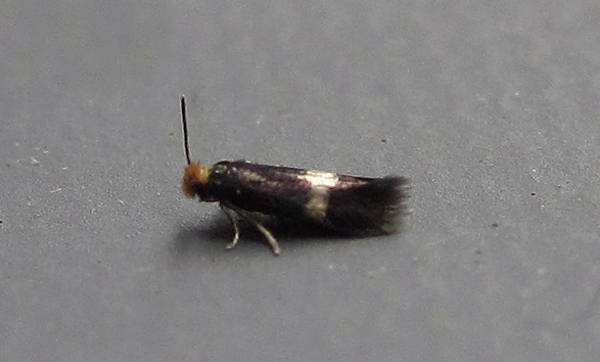 Mine very similar to that of Rose Leaf Miner S. anomalella.